There are two methods for creating an enterprise project. One way is to start a new project plan in Microsoft Project, make sure you're connected to the project server, and then save it to the server. The other way is to open an existing project and import it to the project server. As soon as either type of project is saved to the project server, the enterprise global template is applied to the project, and accordingly, the enterprise standards apply. 1 Start up Project Professional and connect to the project server. 3 In the New Project side pane, click Blank Project or the name of the existing project you want to use as the basis for the new project. 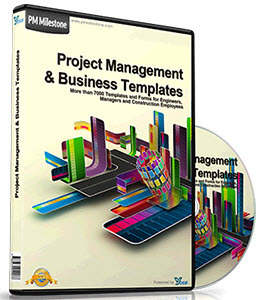 To use an enterprise project template set up by your project server administrator, click File, Open Project Template. 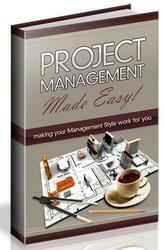 For more information about creating a new project, see "Creating a Project File" on page 62. 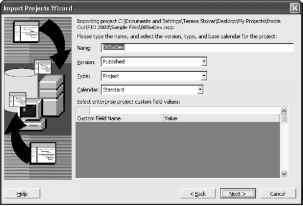 The Save To Project Server dialog box appears (see Figure 22-7). Figure 22-7. When saving a new file while connected to the server, the Save To Project Server dialog box appears. 5 In the Name box, type the project filename. 6 In the Version box, make sure that the version is the one specified by your project server administrator as the correct one to use. The default version is Published. Your project server administrator might create other versions for various purposes. 7 In the Calendar box, specify the base calendar being used as the project calendar. This project calendar is the one specified in the Project Information dialog box. Your new project is saved as a new enterprise project on the project server. A quick way to check whether you're connected to the server is to click the Tools menu. If the Substitute Resources command is available, you're connected. If it's dimmed, you're not. If you're not connected, close Project Professional, start it up again, and then connect to your project server. The project you're importing may or may not be open; it doesn't matter to the process. 2 Click Tools, Enterprise Options, Import Project To Enterprise. The Import Projects Wizard appears. 3 Read the Welcome page and then click Next. A browser window appears, similar to the Open dialog box. 4 Navigate to the drive and folder containing the project you want to import. Click the filename and then click Import. 5 In the message about the currency setting, click OK.
6 In the next wizard page, make any necessary changes to the project's filename, version, calendar, or custom fields (see Figure 22-8). In most cases, you can retain the current settings. Click Next. Figure 22-8. Specify any project settings to bring the project into conformance with enterprise standards. In the Map Project Resources Onto Enterprise Resources page, match local resource names from your local project to the corresponding enterprise resource names if possible. Enterprise Resource. Then in the Calendar Or Enterprise Resource field, click the down arrow and then select the name of the corresponding enterprise resource. If your local resource does not exist in the enterprise resource pool, you can import the resource. In the Action On Import field, click Import Resource To Enterprise. If you don't want to map or import the resource to the enterprise, retain the Action On Import field default of Keep Local With Base Calendar. If necessary, in the Action On Import field, click the name of the base calendar (see Figure 22-9). Note When in doubt, don't import a resource to the enterprise resource pool. That is, if you're not sure whether certain resources belong in the enterprise resource pool or whether they're already there, bypass this step for now. Once a resource has been added to the enterprise resource pool, they're in semi-permanently. They can be deactivated, but only a database administrator can actually delete an erroneously added resource from the enter prise resource pool. As long as you have the proper permissions, you can always add a resource later. Figure 22-9. Import or map local resources to the enterprise resource pool. 8 When finished mapping resources, click Next. The Map Task Fields page appears. This page shows any custom fields, such as Cost1 or Text3, you might have defined in the local project. You can map these custom fields to any corresponding enterprise fields that might have been defined for your organization. 9 If you want to map custom task fields, select the field in the From: Task Field column. 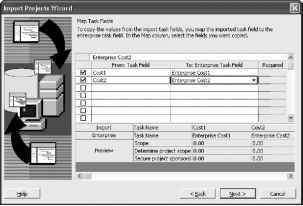 Then in the To: Enterprise Task Field column, click the down arrow and select the corresponding enterprise task field (see Figure 22-10). A preview of the enterprise fields appears in the lower part of the page. Figure 22-10. Associate custom fields defined in your project with custom enterprise fields. When finished mapping custom task fields, click Next. A table containing all tasks in the local project appears (see Figure 22-11). Figure 22-11. Review the table for any possible import problems. Scan through the table of tasks, looking for any problems showing in the Error column. If there are any errors, click the task and then click Task Information. Modify the task information as needed to make the task acceptable for the import process. The tasks, fields, and resources are imported to a new enterprise project, and the Import Complete page appears. Click Import More Projects if you have more projects to convert to enterprise. Otherwise, click Finish.